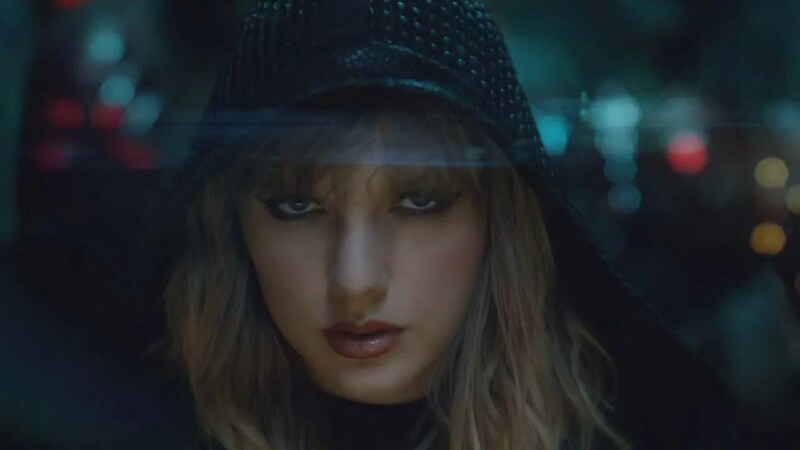 The video, which seems to be inspired by the live-action adaptation of Ghost in the Shell and several other classic sci-fi franchises, is a robot-filled futuristic epic that sees two cyborg-Swifts facing off in a battle to the death. It opens on one Swift (Swift-Alpha) walking down a grungy, futuristic city street rocking a black floor-length cloak as she approaches a group of menacing, red-eyes robot soldiers, who appear to be under her command. As Swift-Alpha walks through what looks to be an abandoned shopping mall that serves as her headquarters, she approaches another Swift (Swift-Prime), seemingly imprisoned behind glass.